If you are a young baseball player (or the parents or coach of a young baseball player) who wants to become a better player, you MUST become a better athlete. 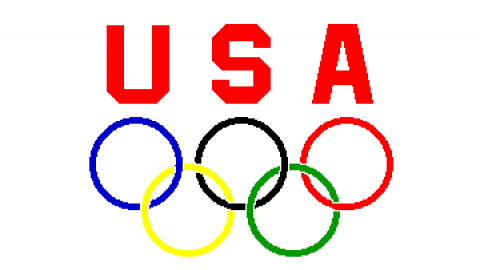 To become a better athlete, you MUST get stronger, run faster, increase power, improve agility and become more flexible. Baseball skills are important, but to be truly successful, you MUST be able to perform baseball skills under control with coordination, strength, speed and power. What good is it to be able to make bat contact if you aren’t strong enough to drive the ball into the outfield? What good is it to be able to field and throw perfectly, if you’re too weak, too slow or lack the strength and agility to get to balls more than two feet away and then be able to stop, field the ball, set your feet and throw with enough speed to get the runner out? What good is it to be able to throw strikes if you aren’t strong enough to pitch more than one inning or throw the ball past a hitter when needed? Remember – “to become a better player, you MUST become a better athlete, and to become a better athlete, you MUST improve each of the following five motor abilities needed for successful performance”: strength, speed, power, agility, flexibility. Once you decide to get better, start by getting stronger. Why? Because strength forms the base for improving the other four variables. There are no weak fast runners. You have to be strong to apply enough force into the ground to accelerate quickly, run fast and change directions quickly and under control. Power is the product of strength x speed. Power is how fast you can apply strength. In order to throw harder, throw farther, swing faster and hit with more power, you have to be both strong and fast, and you must be able to apply force (strength) quickly. Agility is the ability to start, stop and change directions under control. If you aren’t strong, you can’t stop under control and accelerate quickly in another direction to sprint to a ball moving away from you, avoid a tag, cover a base or avoid colliding with an opponent or teammate. Flexibility is the ability to move your joints through a full range of motion. When your joints move through the range of motion for which they are designed, you can apply force longer which will allow you to generate more force, move faster, be more explosive and bend and twist your body with minimal risk of injury. Now let’s look at how each of these variables affects on-field performance in game situations. Published research on over 1,200 professional baseball players from Rookie Ball to the Major Leagues has shown that each of the five aforementioned variables has a positive impact on performance1, 2. Strength and power, for example, have been shown to have a positive effect on offensive performance as reflected by the fact that strong, powerful players hit more home runs, record more total bases and have a higher slugging percentage than weaker less powerful players. Stronger players are also faster and faster players steal more bases. Stronger players are more agile and players with more agility steal more bases, cover more ground on defense and score higher on defensive ranking systems. Strength and flexibility improve movement efficiency (coordination) and help reduce the risk of injury. The five things that will help improve athleticism and performance have been outlined, and if you want to see significant improvement, you need to start soon. Why? “Because adaptation* (improvement) takes time, and the more things you have to improve the longer it takes”. You can’t wait until the day, week or month before the season and expect max results. You can’t force progress. The human body is not a microwave oven. “You can’t microwave kids”. Improvements don’t occur instantaneously. Initial improvements in strength, for example, take 3 to 6 weeks. Additional improvements can be developed in 6-7 week intervals provided proper training principles are utilized. Improvements in speed and agility involve both the nervous and muscular systems and therefore take a little longer. It takes at least 8 weeks to see significant improvements in speed and agility when training sessions are held 3-4 times per week and longer with less frequent training sessions. Improvements in flexibility also take time to develop. Flexibility is not something that happens overnight, nor is it something that can be improved faster by trying harder. And, there is no such thing as “general flexibility”. Flexibility is joint-specific and it takes time to improve range of motion and flexibility across multiple joints. Experts say that “flexibility is improved day-to-day” and that it can take at least 2-6 months for most to see the results of daily flexibility training. Adaptation takes time and requires a unique, progressive training plan for each system of the body (nervous, muscular, cardiorespiratory, etc.). “The system used is the system trained” so there is no one “universal” workout that will improve every system and every physical attribute needed to excel in baseball or any other sport. Training must be specific and progressive in order to produce the adaptations (improvements) needed. “Practicing everything makes you better at nothing”. If you are always doing something different, how can you know if you are improving at the thing or things needed to improve performance and reduce the risk of injury? The keys to successful adaptation are specificity, consistency, variety, rest and recovery. 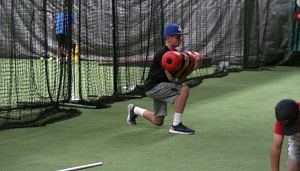 Workouts have to be specific to the sport of baseball. They must involve and improve the movements used in game situations. Workouts must also be progressive, i.e., each workout must build on the previous. Players should work on the same things, but progress on what they did last week, last month and last year. Players have to be consistent in their workouts. You can’t work hard one week and take off the next and expect positive results. Variety is important in order to avoid plateaus, prevent boredom and reduce the risk of overtraining, but changes have to be planned. You can’t change what you do every workout and expect consistent results. Rest and recovery are two of the most important and overlooked variables in training. “Work and rest are both important and neither is beneficial without the other”. Work provides the stimulus needed for improvement, but improvements occur during recovery. The rate and amount of adaptation (improvement) produced by the training program will be enhanced or limited by the amount of rest and recovery provided during and between workouts and training phases. 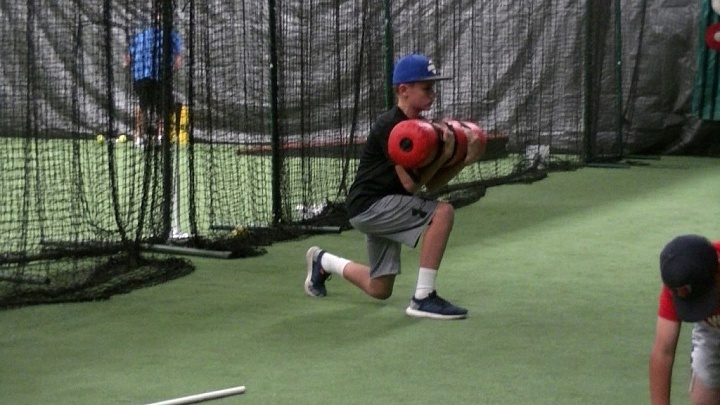 The information in this post is designed to help players, parents and coaches understand why players have to workout to improve athleticism and baseball performance. Guidelines to ensure safe, effective progress and specific workouts to improve fitness, athleticism and performance can be found at http://baseballstrength.org/. * Adaptation is the process the body goes through to improve the functioning of a specific system in the body in order to meet the demands placed on it. The body will adapt to the stresses that are appropriately applied. 1. Hoffman, J. R., et. al., Anthropometric and performance comparisons in professional baseball players. J S&C Res. 23:2173 – 2176, 2009. 2. Mangine, G. T. et. al., Effects of age on anthropometric and physical performance measures in professional baseball players. J S&C Res. 27:375, 381, 2013. Gene Coleman, Ed. D., RSCC-E, FACSM, was the Head Strength and Conditioning Coach for the Houston Astros and Professor and Chair in the Exercise and Health Sciences Program at the University of Houston – Clear Lake from 1978 – 2012. 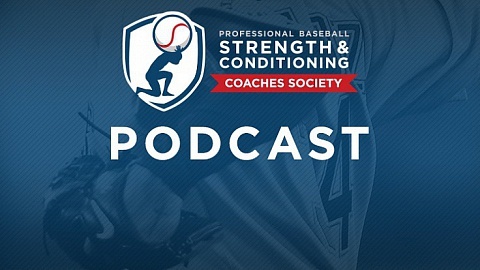 He is currently the Strength and Conditioning Consultant for the Texas Rangers and Professor Emeritus at the University of Houston – Clear Lake.